Provide comfort for the family of Lloyd Ingraham with a meaningful gesture of sympathy. Survived by Leona, wife of 79 years, children Ron (Irene), Arlene, Carl (Anna). Grandchildren Elaine (Waheed), Lee (Eugenia), Jennifer, Kevin, Rina. Great grandchildren Zara, Jade. Arrived in Squamish in 1919. Worked at Woodfibre in the Bleach Plant, and as an Electrician. Returned to Squamish 1955, as an electrical Contractor, and started the Squamish Cable TV system in 1957. Was a Member of The Cable TV Pioneers' Club, the Board of the Western Society of Cable Television Engineers and the Canadian Cable TV Association. Was very involved with the establishment of Squamish Valley Golf and Country Club and was a Lifetime Member. A significant contributor to Squamish Hospital Foundation, Squamish Community Foundation, Squamish Hospice Society. A longtime member of Squamish Rotary Club, Squamish Yacht Club, and Thunderbird Yacht Club. A Celebration of Life and Reception to be held at Squamish Funeral Chapel, 40440Tantalus Rd., Saturday April 6, at 11 AM. In lieu of flowers, Donations to Squamish Rotary Club, with proceeds to go to Rotary School Breakfast Program, and Friday Night Special Meals at Hilltop House. Gary and Ben at Smythe sent flowers to the family of Lloyd George Edward Ingraham. I met Lloyd when I was chair of the Squamish Community Foundation. His generosity and caring for the community was inspiring. My sincere condolences to Lloyd's family and friends. Our sincere condolences of one of the most honorable men I have ever known, he was a great mentor and an even better friend. He will truly be missed. The Bridge and membership of the Squamish Yacht Club would like to express their condolences to the Ingraham family. 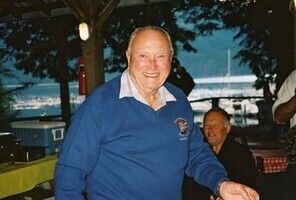 Lloyd's was a longtime member of the Squamish Yacht Club, in recent years an Honorary Member. A donation will be made to the Squamish Rotary Club to support Lloyd's pet projects: the Breakfast program in schools and the Hilltop Support Society Friday night dinners. I met Mr. Ingraham in 1992, the year I joined my father working in the life insurance industry. From the very first moment I realized his was a very sharp mind and nothing would ever get by him and never did. Over the years, especially after my father retired, Mr. Ingraham and I would meet frequently and usually for lunch in Squamish at one of his favourite places which was usually the golf course. While our relationship was always professional, somehow over time, it eventually became one as friends. This friendship flourished despite our more than 40 years difference in ages. In the latter years, although we would still review business and estate planning matters at each meeting, the lunches became mainly a time to catch up on what we both enjoyed most - our respective stories. His memories were so valued and interesting to me because it was like he was a participant in a history I never experienced. I suppose my own stories were likely valued by him too as he always wanted to hear what I had been up to in the mountains. In the end, while he couldn't see well anymore he could still communicate very well. He was still sharp as ever. While trust is a necessary component with any valued client, I came to realize he put a level of trust in me that no one outside of my own family had ever done before. I was and will always remain truly honoured to have known him as I did and I am at a loss to express myself clearly how much I will miss him. 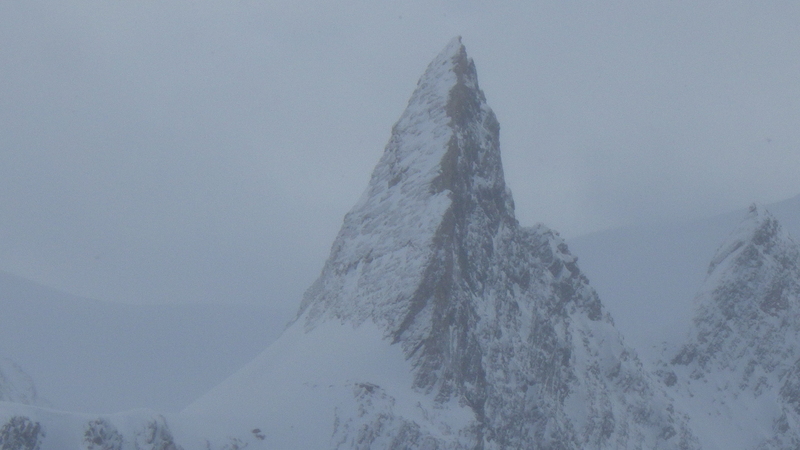 I have a photo of my latest mountain memory which he didn't get to hear about. I'd like to think this is a physical icon to the man he was - unique, sharp and inspiring. My sincerest condolences on the loss of Lloyd. I really respected, enjoyed working with and knowing him for close to 35 years.